When I was a little boy, I was a big time fan of the classic cartoon series "Tom and Jerry". Even now it never fails to make me smile. In the late 80s and the early 90s Tom and Jerry was screened in Doordarshan between 4pm to 4.30 pm. I and my sister would sit in front of the TV sets and we would cheer Jerry for his pranks against Tom. In fact no one liked Tom except my sister. My sister and I fought like cats and dogs when we were kids. When it comes to sports I was a fan of Martina Navratilova, Gabriella Sabatini, Monica Seles, Sanchez Vicario. She was a fan of Steffi Graf.On the Men's draw I was a fan of Stefan Edberg, Agassi and Becker and she was a fan of pistol pete. So Invariably if I like A, she would like B. That would make me to hate B and our egos were very strong on not liking the same thing. I liked the Brazilian football team. Romario and Ronaldo were my favorite footballers. She liked the Argentinian football team even though she did not know anyone in the team. I liked Sachin Tendulkar and she liked Vinod Kambli and she cried along with Kambli when India lost to Srilanka in the semifinals of the 1996 cricket world cup at Eden Gardens. This must have been the case with those who have siblings. Many among you can relate to this. Now why did I name the post as "Curiosity kills" ? Yeah! I remember it now. 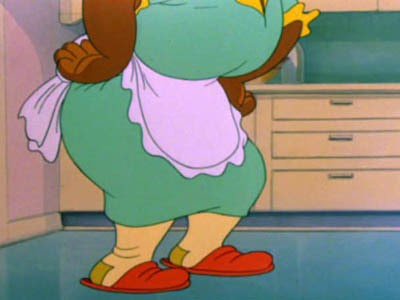 In Tom and Jerry cartoon, there was this lady of the house who used to spank Tom every now and then. Only her legs would be seen on TV. Both my sister and I had one common desire ~ To see the face of the lady. Many a times, we have gone closer to the TV and have tried to peek into the top corner of the TV to find how her face would look like. Have you done that too? I'm recalling my childhood days. I started watching Tom and Jerry just because all my friends used to. But then I never bothered about the lady who used to come in between. In fact, there were different humans who used to come in few episodes. I like(d) Tom from the few episodes that I DID watch. Ha Ha Ha. I've done that several times, you know and sometimes even now I absent-mindedly do that. And not only that, I've tried so many times to see what is not seen on the screen. Thanks for this delightful post, Prason. hahah i have done that too! and frankly, it was more than irritating to never be able to see that lady's face. I confess I hav peeped into the TV screen not only in childhood but even after I grew up. Reason? ?- "Curiosity Kills!!" Have you heard of these two Rajni jokes (I'm sure you have)? Rajnikanth has seen the face of the woman from Tom and Jerry. Rajnikanth knows the people who hold hands in the Nokia ad. Yes I've peeped into the top of the tv hoping to see her face too. I drove me crazy! Yes, I have even rented videos to ascertain it( the face of lady) thinking i might have missed t in tv episode. ya i have also thought of seeing that lady's face..btw this happened to me..
nice post!i share the same opinions with you when it comes to siblings:) your blog is awesome !!! 488. Acquired Breaking News Virus.